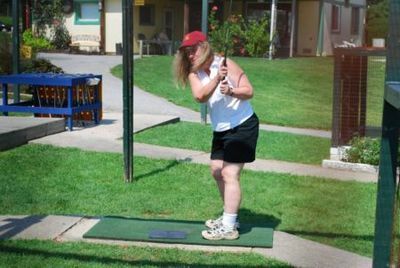 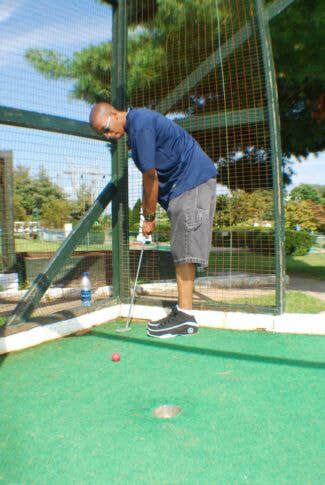 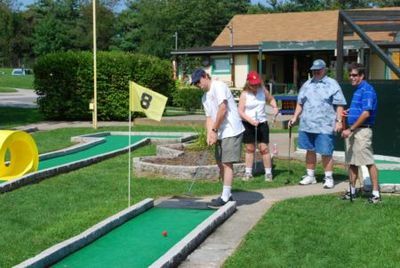 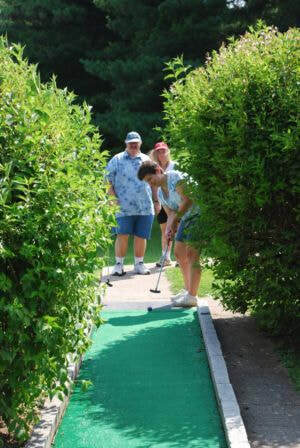 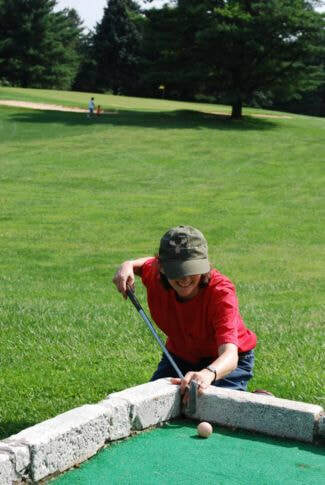 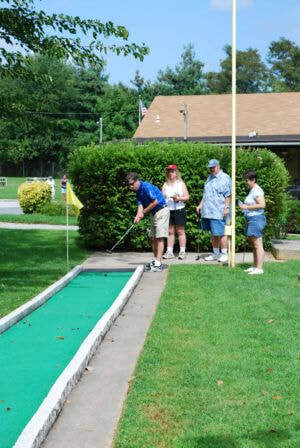 We had another fun day at Mitchell's Golf Complex in Reisterstown, MD. 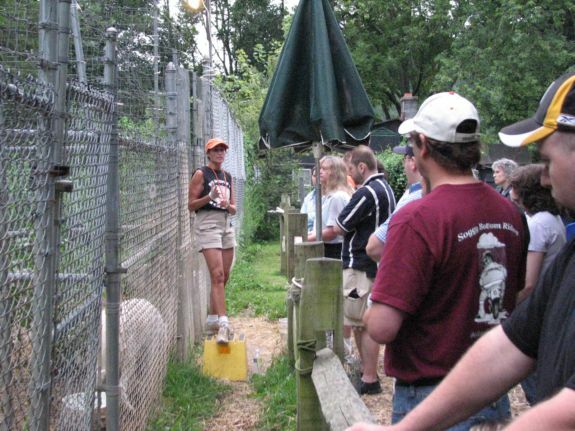 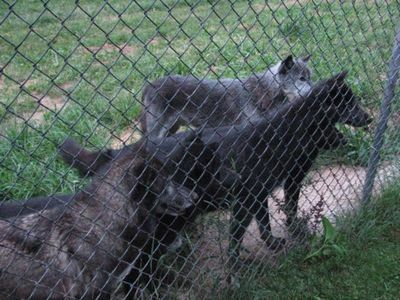 We had a great time at the Wolf Sanctuary in Lititz , PA. 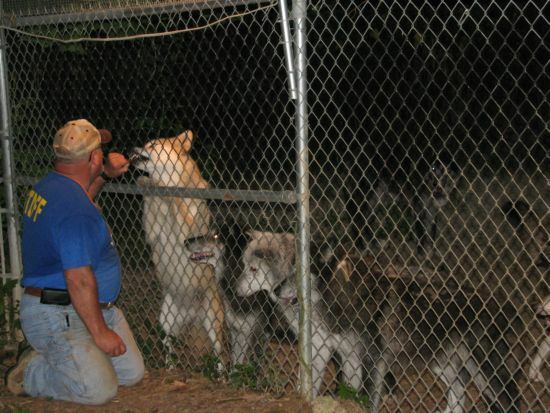 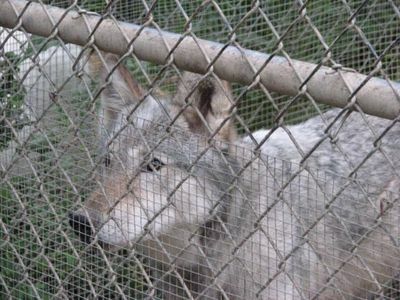 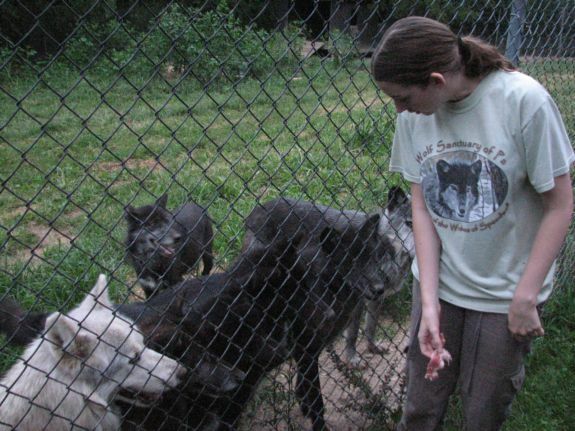 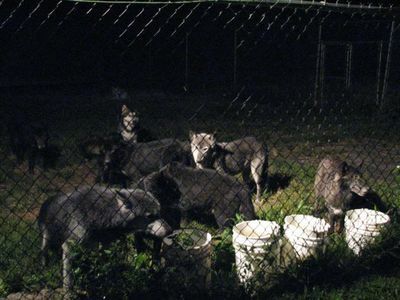 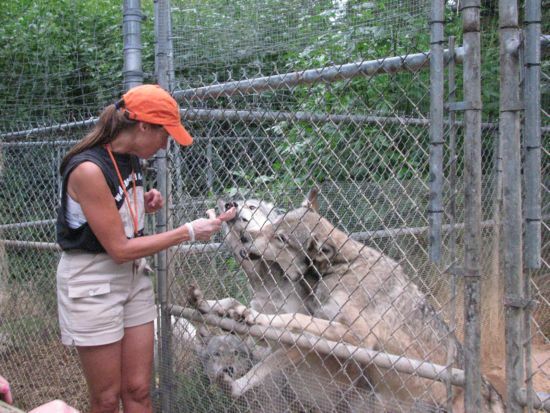 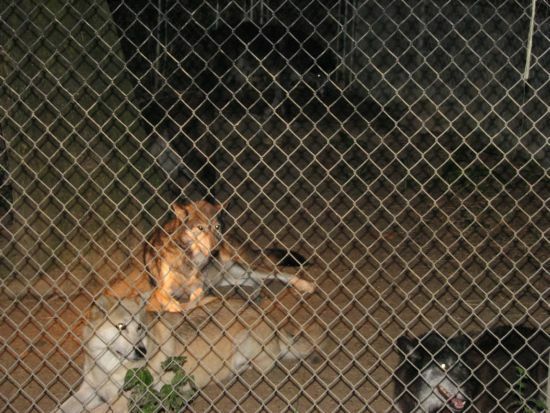 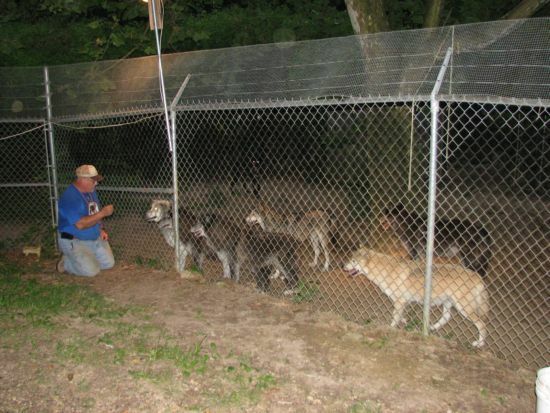 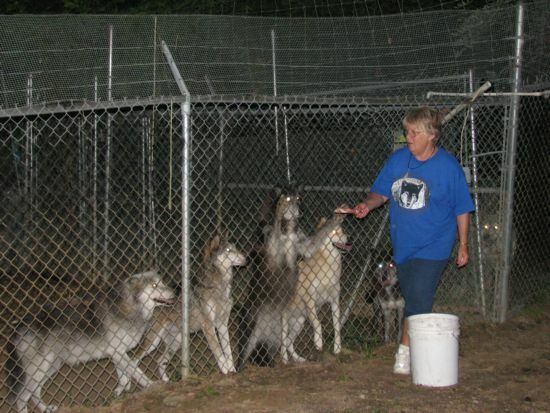 The wolf sanctuary is home to over 40 wolves that live on the sanctuary's 22 acres of natural woodland. The wolves are separated into several different packs, which vary greatly in size. 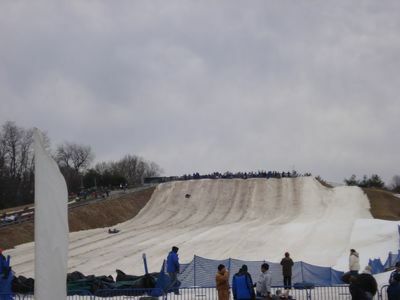 The weather was much more cooperative this year. 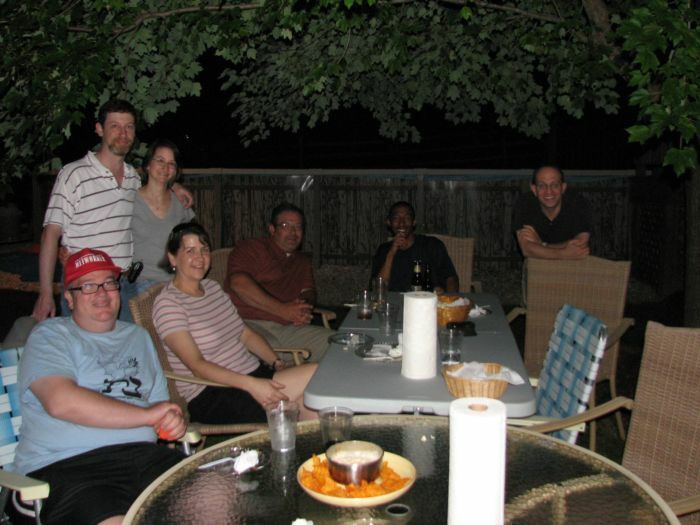 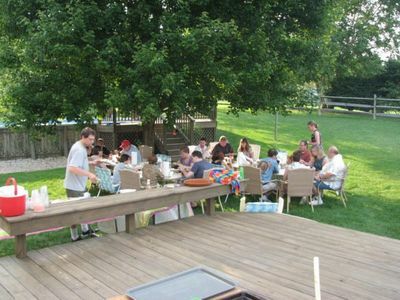 We had a beautiful day for this year's BBQ. 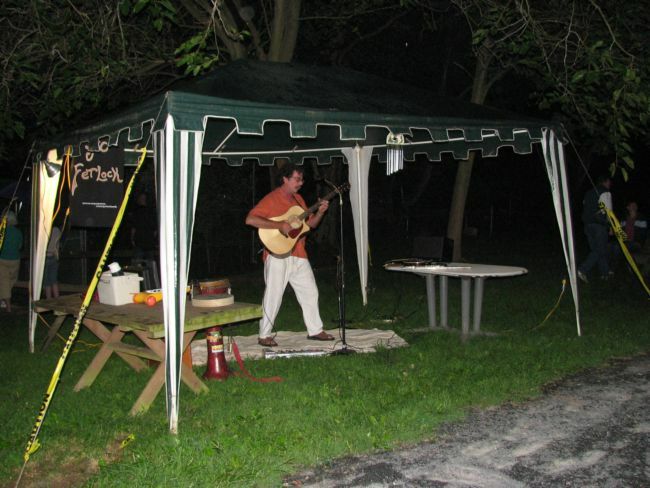 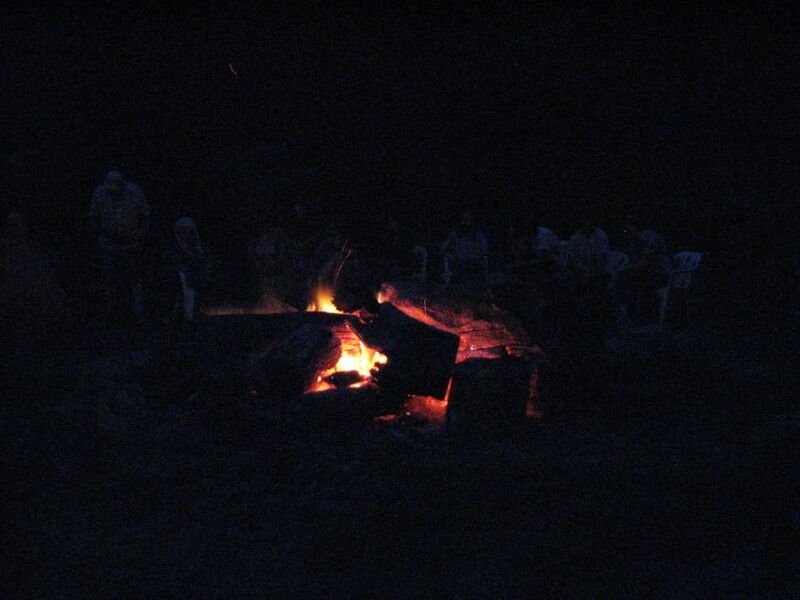 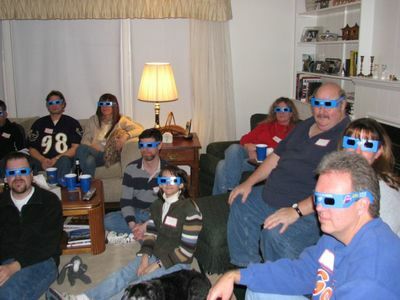 The party lasted well into the night. 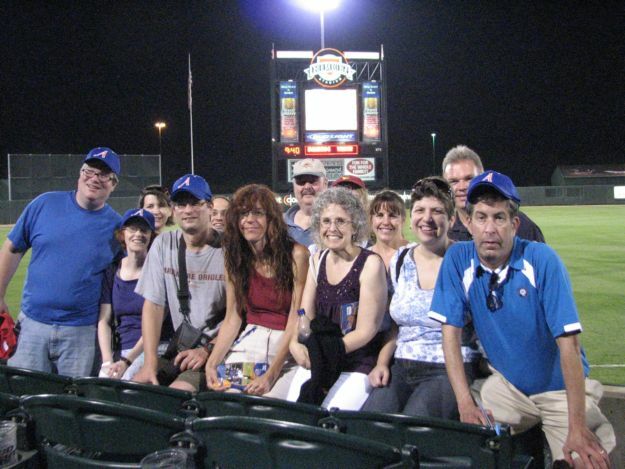 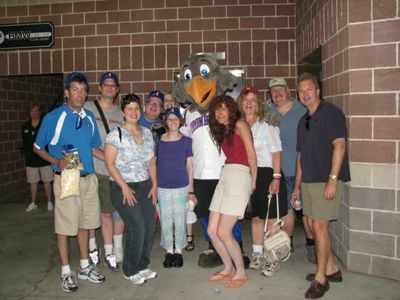 Our group enjoyed perfect baseball weather as we watched the IronBirds take on the Cyclones at Ripken Stadium and beat the Cyclones 4 to 2. 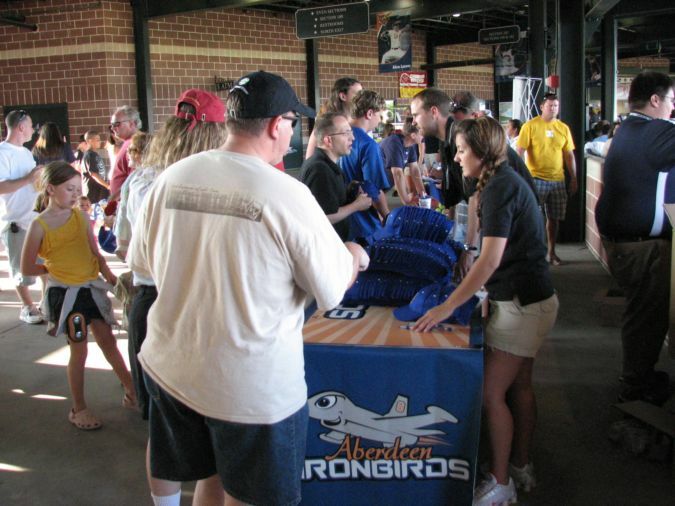 We all received free IronBirds hats before the game. 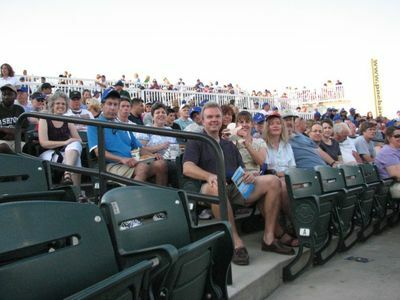 During the 4th inning, our group was welcomed on the stadium screen. 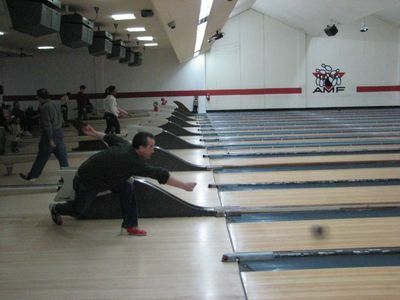 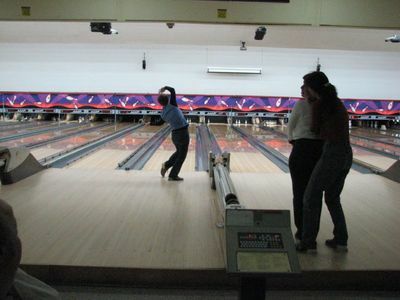 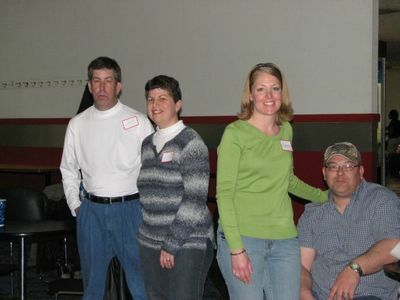 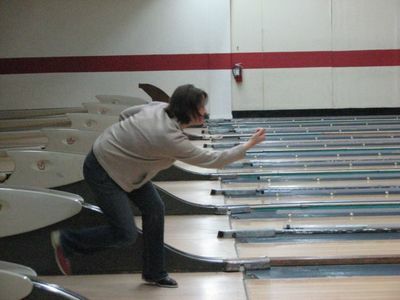 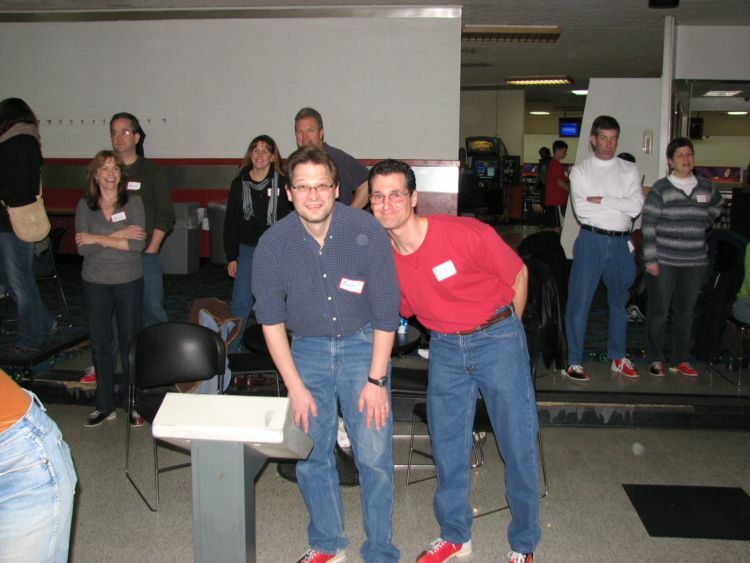 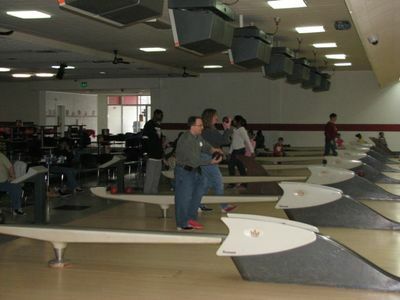 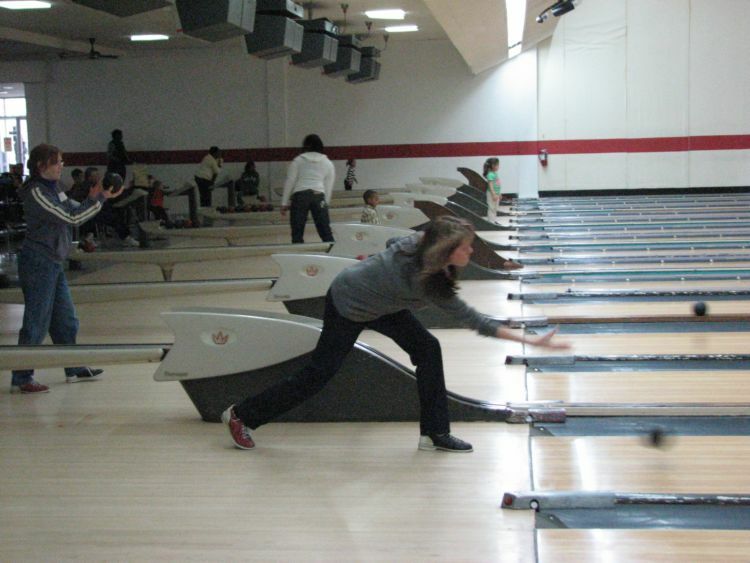 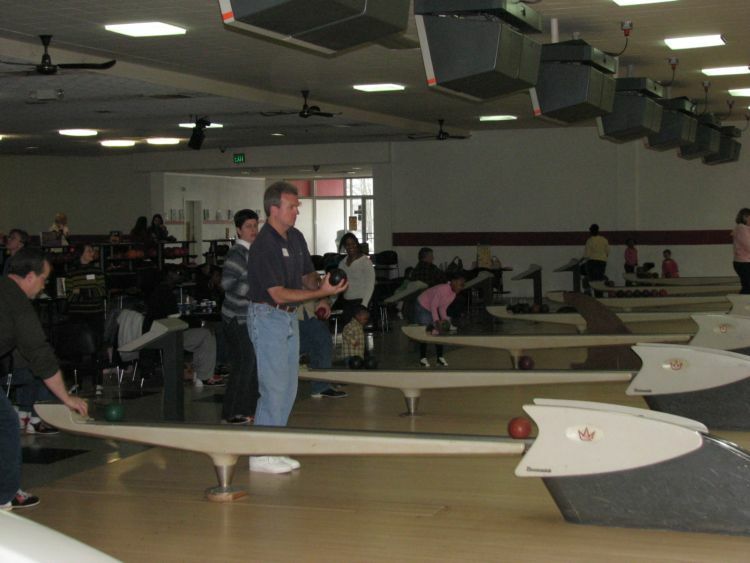 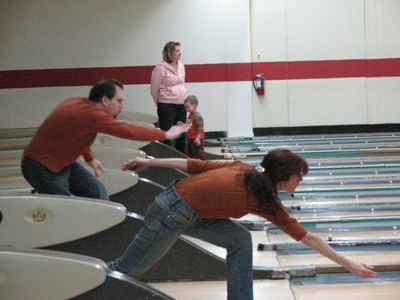 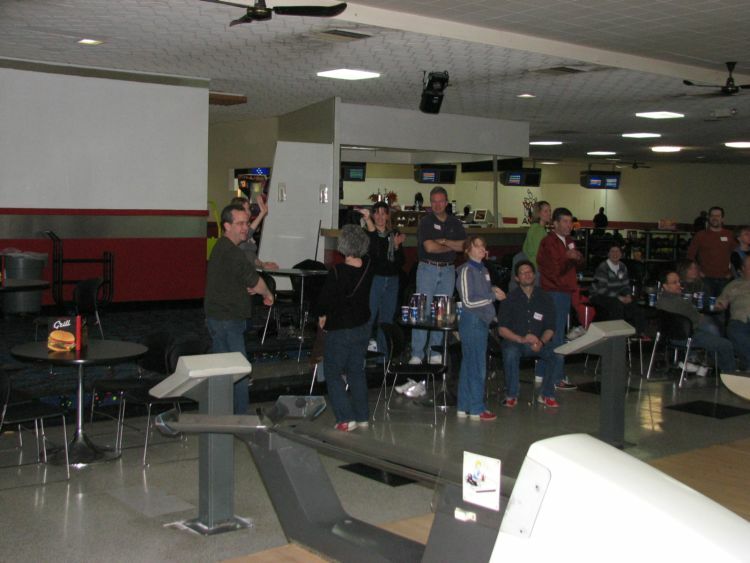 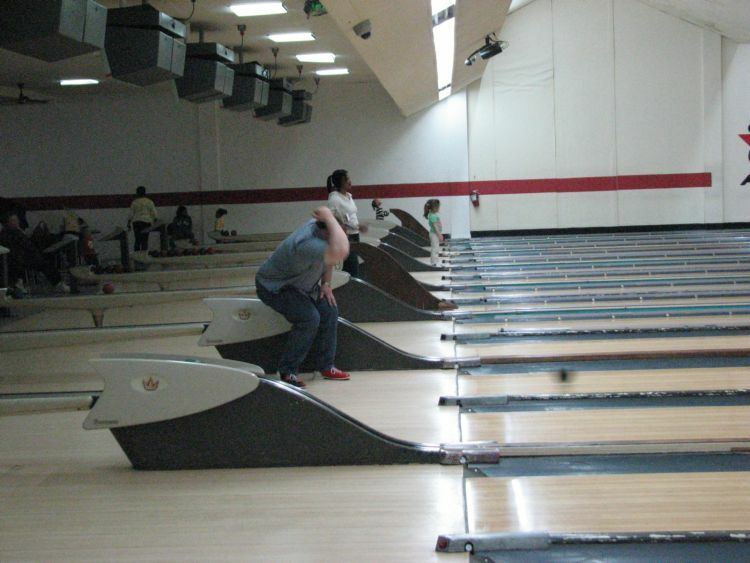 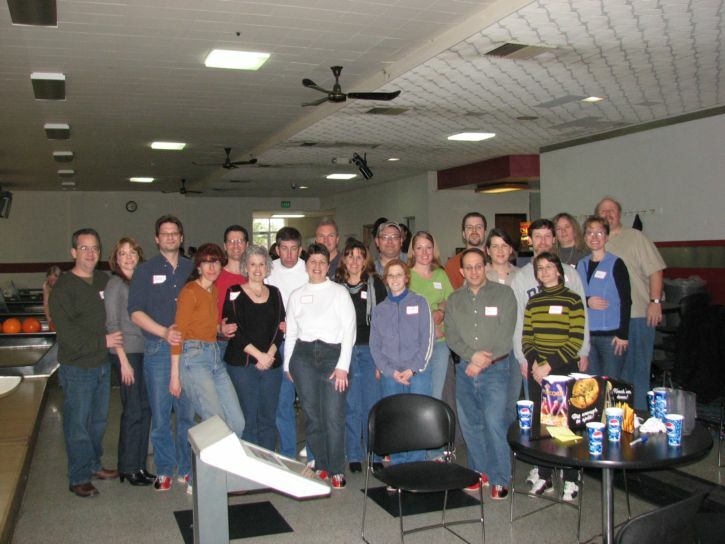 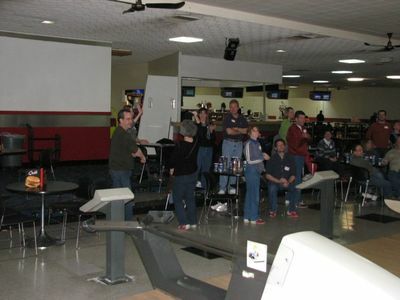 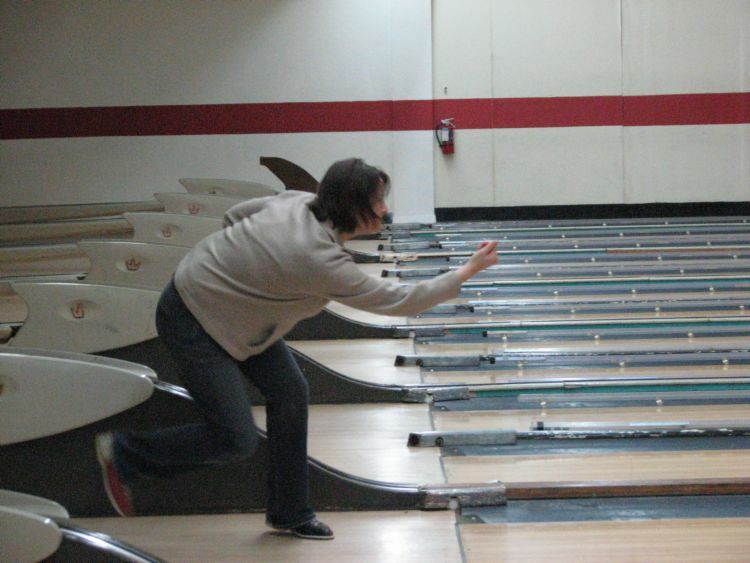 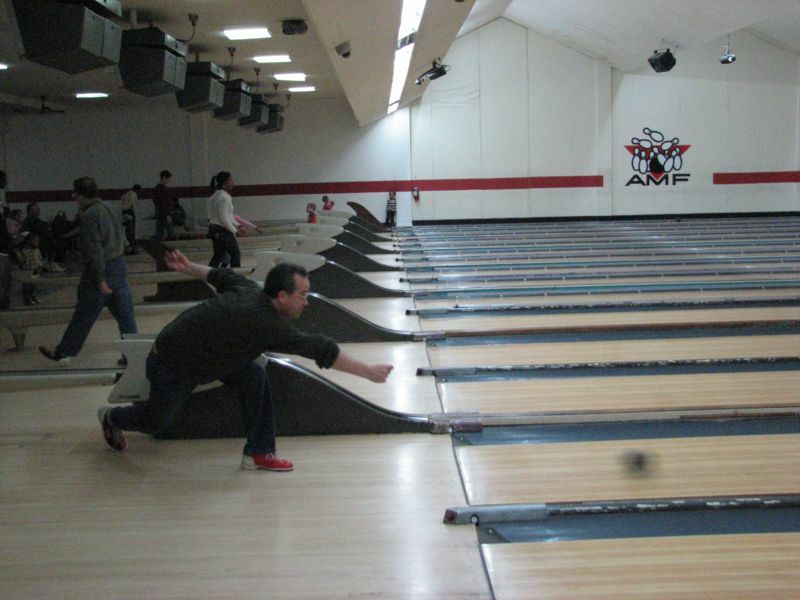 AMF Towson was the site for this year's duck pin bowling. Afterwards, our bowlers enjoyed dinner at the Cheesecake Factory in Towson. 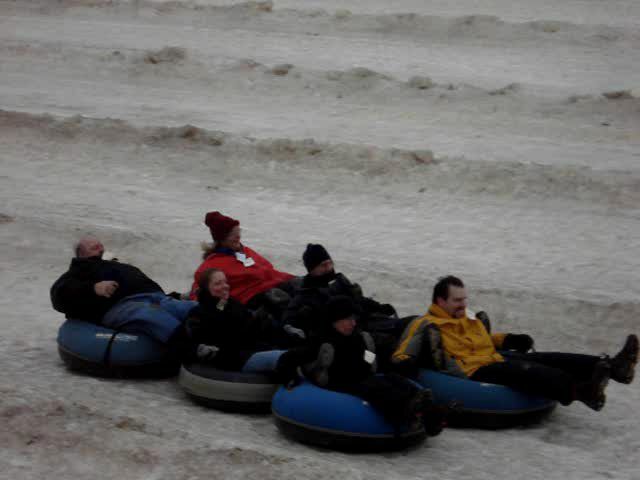 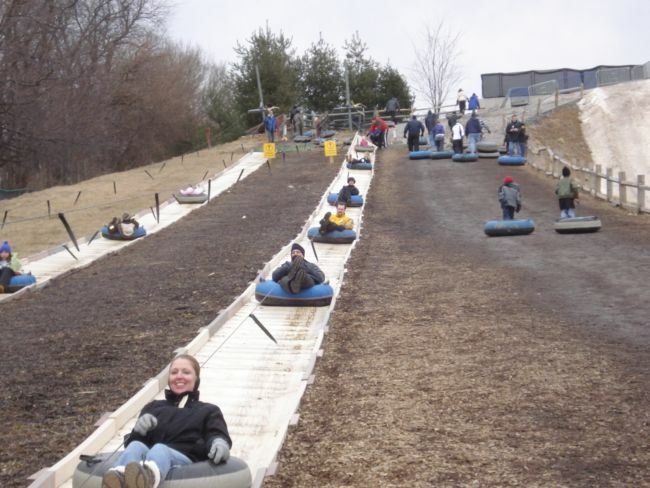 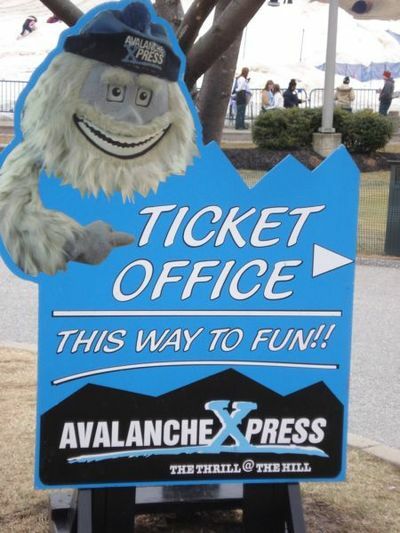 We had a fun winter day at Avalanche Xpress in York PA. Dinner followed in one of the resort restaurants. 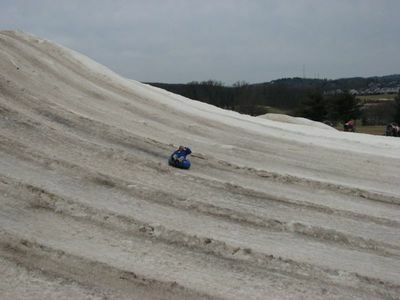 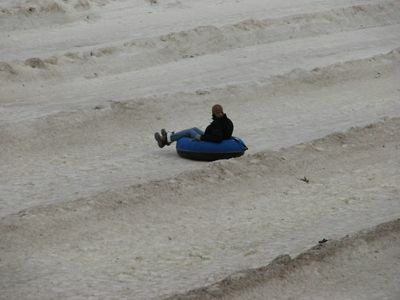 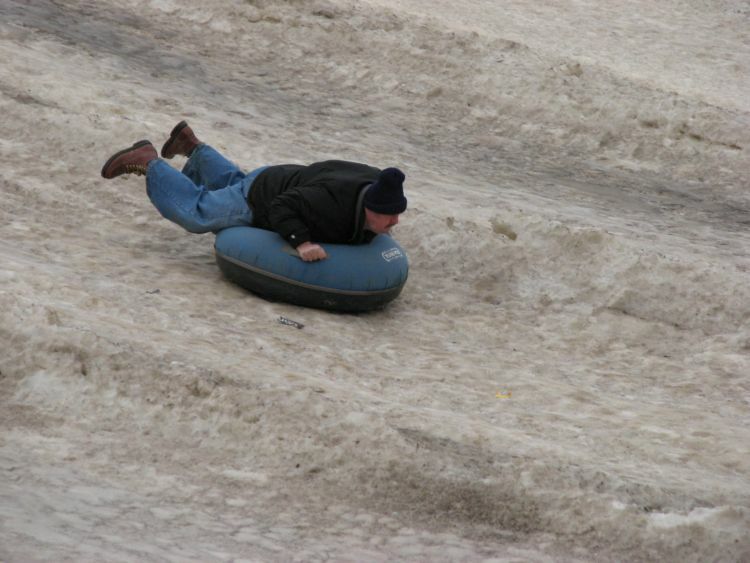 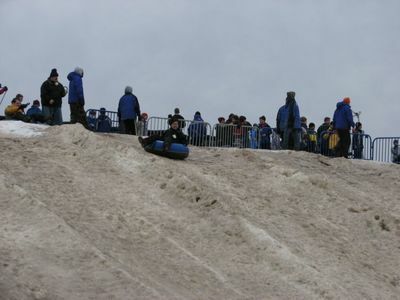 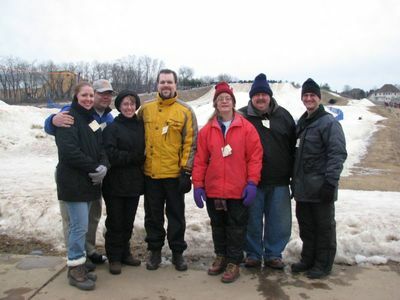 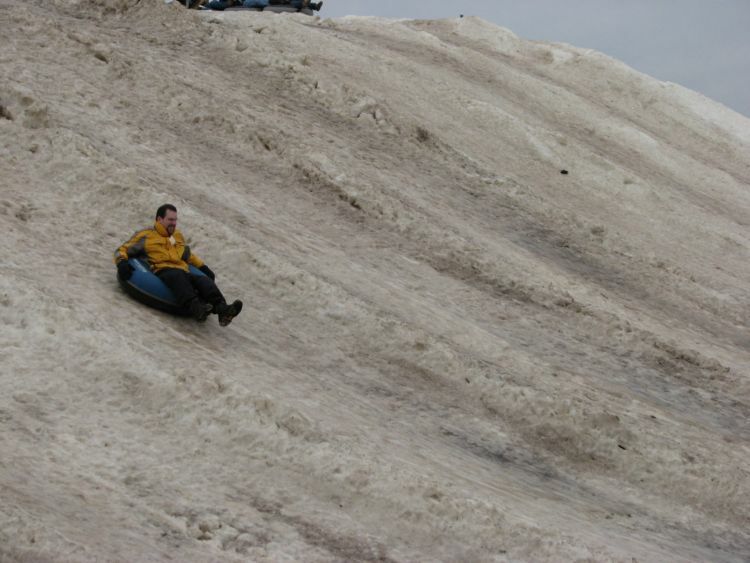 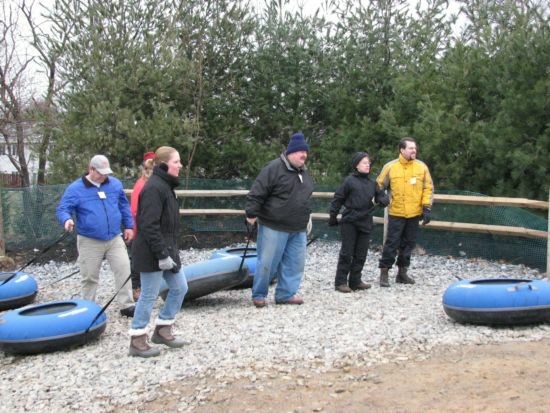 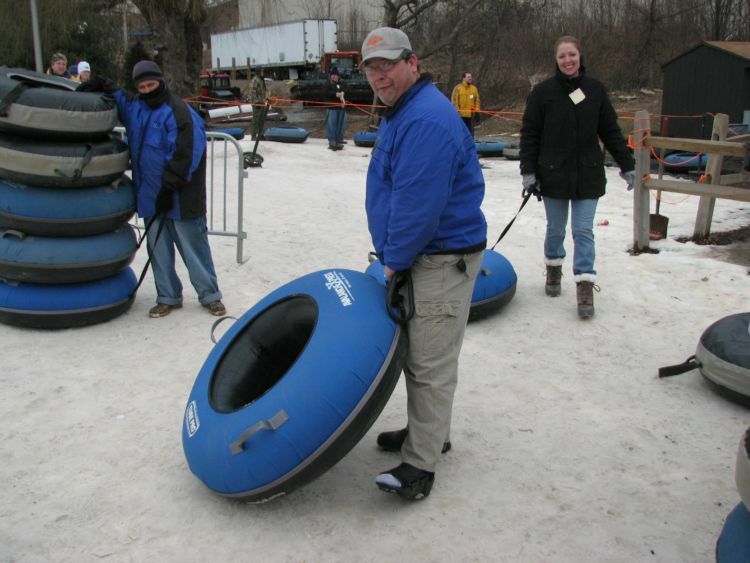 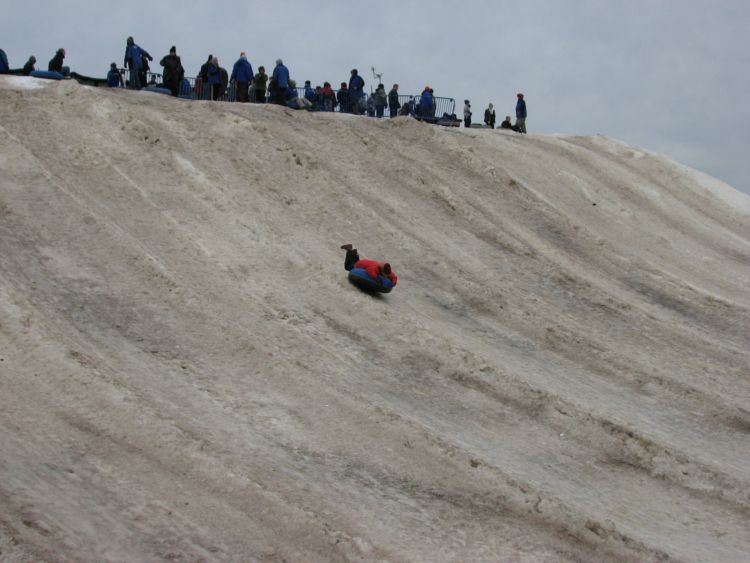 Brian refused to let his broken ankle stop him from snow tubing. 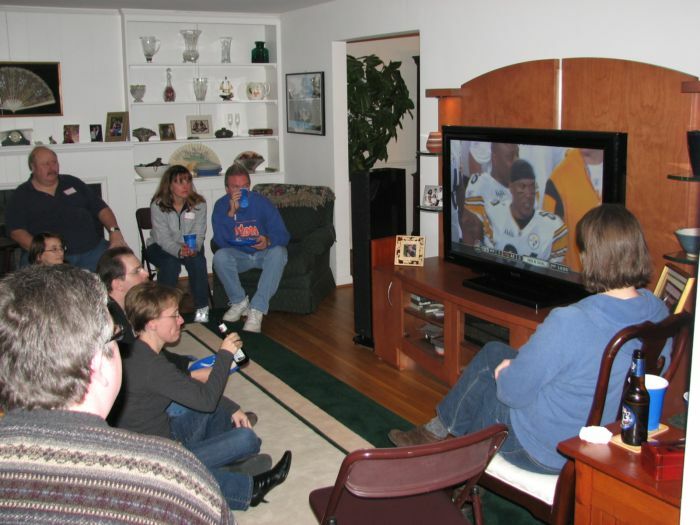 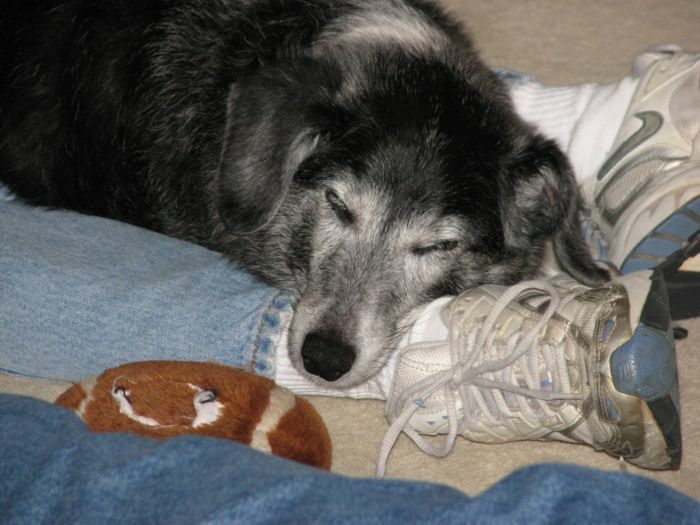 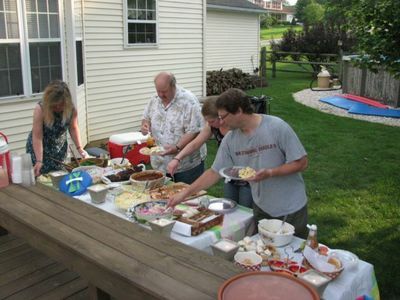 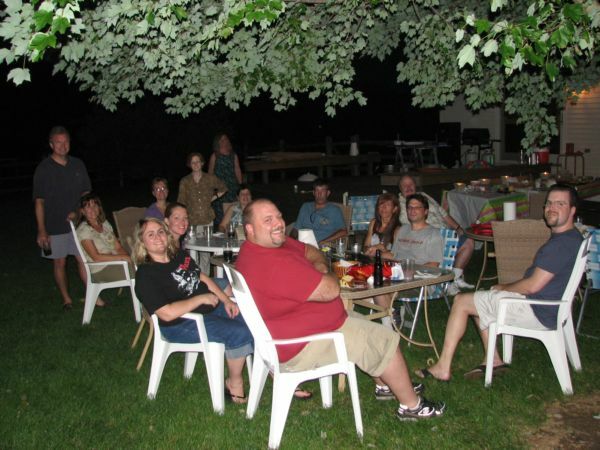 Everyone enjoyed another great Super Bowl party at Claire and Eric's home. 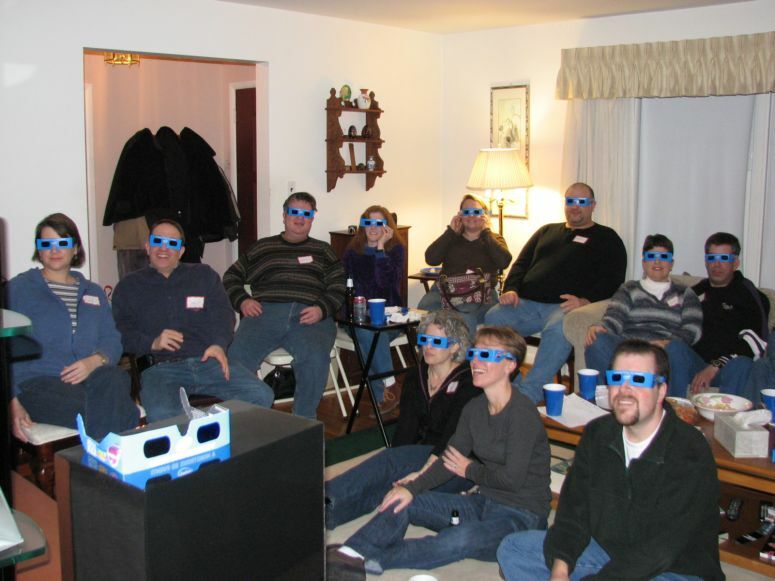 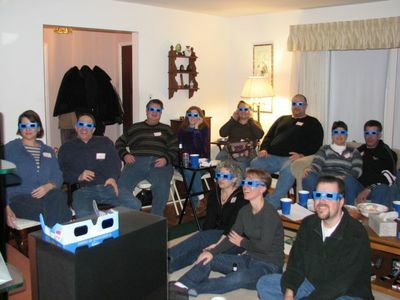 Everyone was ready for the 3D commercials after the 1st half.